The flauta de millo is an indigenous instrument from the Caribbean coastal region of of Colombia that has also been adopted by the Afro-Colombian musical traditions of cumbia and gaita. It’s a simple instrument that’s carved from the reed of a grain-bearing plant called millo or “millet” in English. 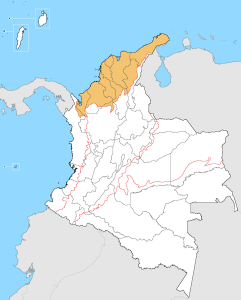 This video shows contemporary Colombian musicians led by a millero. Although the flute is indigenous, the music itself is more percussive and african in nature. The flauta de millo is cool because for such a dynamic instrument, its construction is so simple. It’s got just four finger holes, plus open ends on both sides. Yet unlike most typical wind instruments, the flauta de millo is can be played in four distinct ways. The player can produce sound by blowing through the tube (like a normal flute), sucking air (for the high, sharp notes), vibrating the flute by exhaling air through the throat as if gargling (called garganteo), or blowing while covering the opposite end of the tube (tapa’o, for the lowest tones). In the video, listen and watch during the close-up of the millero, and you can see all of them except garganteo. 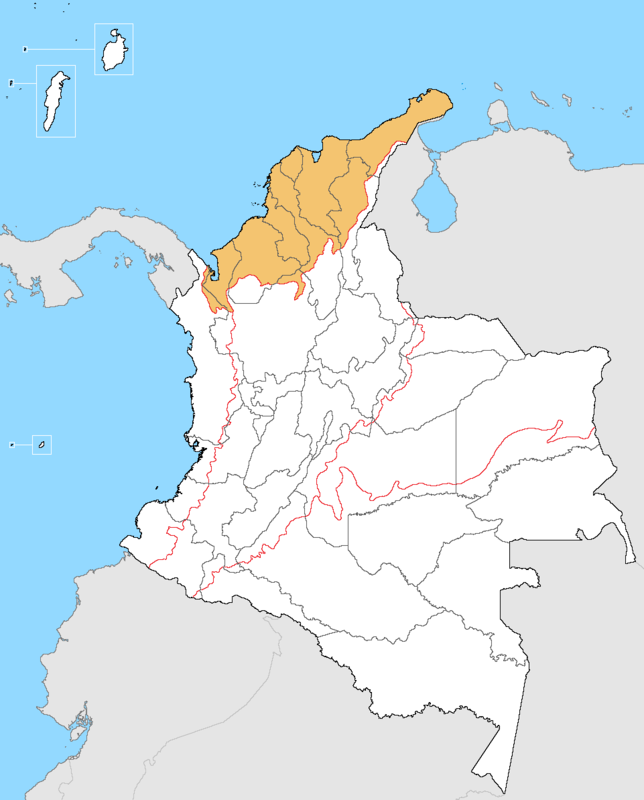 The Caribbean coastal region of Colombia. Alright, let’s pull some examples from the vinyl. 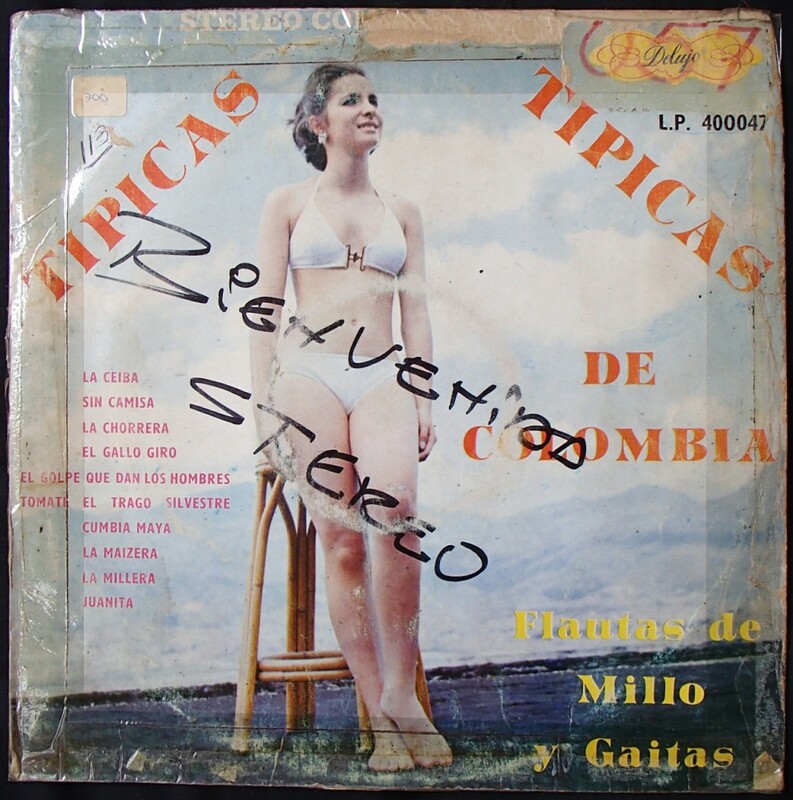 Here’s a compilation, “Típicas, Típicas de Colombia”. The music is pretty traditional, so it can be a hard listen, but the intricacy of the rhythms and melodies on the flauta de millo are cool. Listen to “La Chorrea” (“The Trickle”), which gradually builds steam as the tune goes on. The supporting cheers from the drummers really give the recording character and candor.